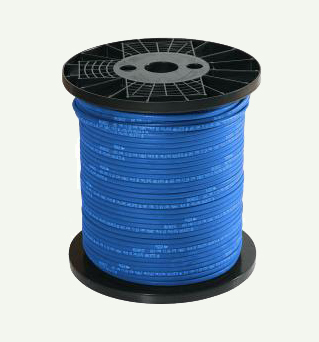 ELEKTRA SelfTec®DW self-regulating heating cables. Multi-purpose antifrost protection system, for applications both outside and inside of pipes. Certified for drinking water applications. The 10 and 16 W/m cable output (at +10°C) was especially selected to account for the water heat capacity. Available in a double layer polyolefin + LDPE sheath(SelfTec®DW), as well as a single layer fluoropolymer sheath (SelfTec®DW F). 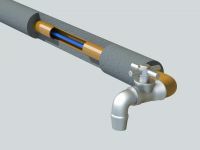 Certified for food contact applications, allowing for the in-drinking water pipelines applications. The cables feature IPX7 protection rating, which will guarantee anti-shock protection when connected to the power circuit protected with a RCD.